New features included in our Standalone version lets you add branches of your organization, and automatically map data for your imports. One of the best milestones a business owner could experience is expansion, in which you get to showcase your products/services of your organization to a wider set of audiences, and wake up in the morning, tracking the developments of your branches to see whether its sales are doing good. 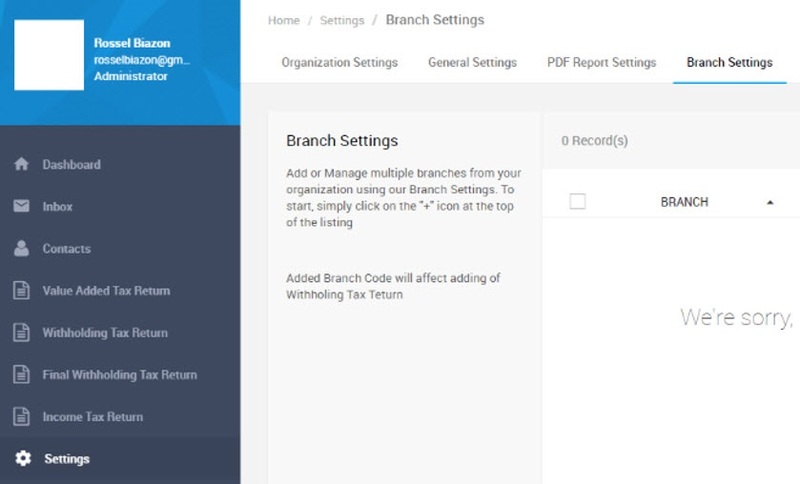 At JuanTax, we believe that branch managing is an essential aspect to business, which is why we added a new feature in our Standalone version which lets you add your branch’s data to your organization. To create your organization’s branch, go to Settings, then click the Branch Settings tab. Next, click on the plus (+) icon, then a separate modal will appear. After that, you can manually fill up the form. You should also select the RDO (Regional District Office) of the branch that you will add. Hit the Update button to save your organization’s branch in JuanTax. Once you had already added branches to your organization, a selection can be seen once you generate your Withholding Tax Return report. JuanTax now also provides auto mapping for CSV transactions that you imported to the tax software. So let’s just say that you imported a CSV file in JuanTax with headers that matches with the exact headings to the required fields in importing. What would happen now is that JuanTax will automatically map those headers for good. This update was designed to improve your importing experience with the tax software. Furthermore, JuanTax remembers the last header(s) that you mapped. Hence, when you import new transactions with the same headers used previously, it will already be recognized and will also be automatically mapped by the system.